Last week we had our first meetings of Nordic Finance Innovation, the largest networking group in the Nordic region for people involved in finance and technology which I happen to chair. The meeting focused upon data: data usage, data analytics, data leverage and data privacy. It was an interesting meet-up and Danielle Neben, editor at Nordic Finance Innovation and Marketing Director for ePassi, provides a nice summary of the events as they happened. Nordic Finance Innovation hosted its first 2019 meetings in Oslo and Stockholm on February 6th and 7th. We had a range of business leaders from banks, insurance companies, retailers, consultancies, big tech and innovation centres. A full list of the presenters is available at the end of this article as well as upcoming events. 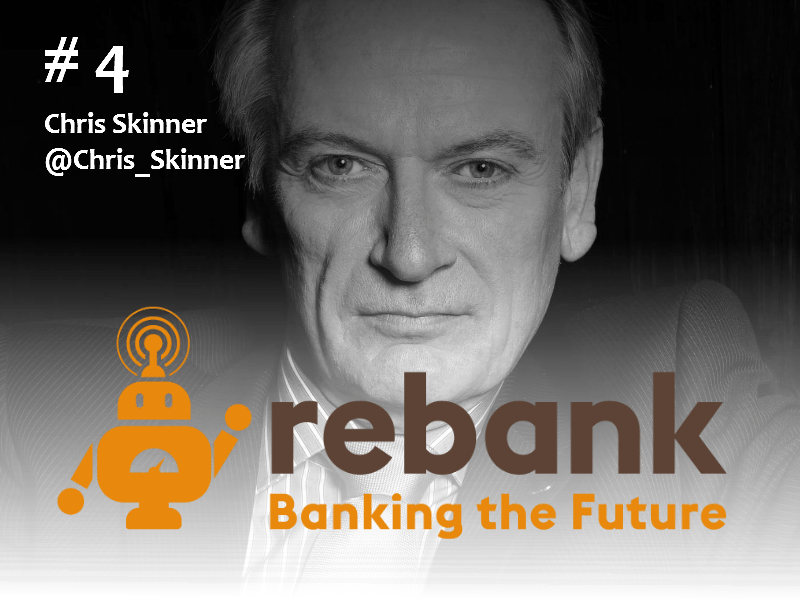 Many of the topics followed the themes that Chris Skinner is now approaching in his new book “Doing Digital” – lessons from leaders from 5 international banks who have embarked on this journey. Becoming a fintech bank, where Tech is on an equal level of importance as Finance. All businesses are seeing the big tech giants as catalysts. The music and movies industries were first impacted. Companies like Nokia and Blackberry did not take notice of the smartphone launched by iPhone and within 3 years they were bankrupt. For banks, this is probably 7 years. This leads to the conversation around the bank branch model. Ten years ago, they were seen as dinosaurs. But today they are marketing showcases. And having a physical presence gives trust. We see this with the major tech platforms, where they are combining physical stores to complement their online businesses. For example, Amazon has direct investments in Whole Foods and Amazon Fresh, while engaging in alliances such as Morrisons. Google has alliances with Tesco, Target and Carrefour. Walmart has partnered with JD.com with a new shopping application available through WeChat to skip checkout counters. And Alibaba’s Hema stores are changing the supermarket experience. At Bertel O. Steen, the dealership model has been turned on its head. Previously, customers would visit 4 times before making a decision, collecting information provided by the dealer. Today, they have this information online. They will only visit a dealership once to make a decision – the dealer has only 1 chance to make the sale, now with a focus on service, not product. But do the tech giants really get data? Google Maps will recognize your home, but not your cabin. Netflix lose customers 20 minutes after watching a movie they are not interested in – this is a content model, not an AI one. The customer is core to the business. In Chris Skinner’s interview with the DBS CFO, he focusses on customer statistics, not ROI or the shareholder. Because if they have happy customers, this will deliver good ROI for the shareholders. At Bertel O. Steen, the customer now demands mobility. They no longer want to buy cars, they want to use them when they need them. Irmelin Stolen’s challenge, from Rema 1000, is to bring her grandfather’s customer centric model into the present. He knew everyone’s name, their shopping preferences, price sensitivities and even where their house key was to make home deliveries. The challenge is keeping customer focus – not just collecting data, to help with better decisions and customer experiences. “The battle of the shopping list is very hard to beat”, as per Truls Fjeldstad of Norgesgruppen. They have taken hundreds of discarded lists to analyse what people write. They do not write brand, they write dinner, milk. The big question is how to digitise this approach and tailor services to the client. Challenges in Norway are that the language is not available on Google for voice recognition. Truls estimates they have around 3-4 years before the Googles and Amazons will adapt to Norway. Traditional business models have been built around product lines and not the customer view. Kim Hyldig at Worldline challenges business and whether full CRM 360 is realistic, where individuals receive appropriate services according to their needs, and not what products the businesses want to sell. Siri Børsum at Google asked “Do you know how long it takes to load a page in your company app? 53% of visits are abandoned if a mobile site takes longer than 3 seconds to load. And for every second it takes; conversation rates drop by 20%. Speed is about a first impression. How can a traditional business with good returns actual make the move to digital? Creating that burning sense for change and communication for buy-in are required to change the direction. Girts Berzins uses simple messaging to motivate this change at Swedbank. First he shows that the tech giants are “Platforms, the perfect storm”. And he uses two key phrases to drive this understanding: “API or die” and “AI or die”. At Nordea, the focus is on 10x projects – not 10% incremental. How can service be fundamentally changed in relationship to the customer. Having clear and urgent communication, with relevant KPIs for the entire business (not just the tech labs) help align the organisation to change this direction for the future. In the last two years we have created more data than in the history of mankind. Spotify and online grocery shopping are driving customer expectations. Over 30% of Google searches are done through voice. On singles’ day, Alibaba sold $15 voice units, Tencent has put voice units into hotels. But how is AI being applied in the Nordics? Every day, there are over 500 crashed cars with pictures taken of all of them. The challenge is using deep neural networks to estimate the cost to repair a damaged car. This case was a good fit to use data to establish models. The pictures alone were not enough to come up with conclusive estimates. Key factors in the model brought better results, including car model (Mazda), position of the damaged parts (front door, bumper) combined with the pictures. One of the key takeaways at Folksam is that more data is not the solution; successful AI experiments require domain knowledge. Short experiment cycles and demo driven workshops will pivot their perspectives to find new use cases. Worldline is applying expert rules, AI and machine learning to detect fraud. Objectives are to increase accuracy, have less rules (which takes machine power), adapt faster to threats and avoid bottlenecks in the system. The data set is very large and can be more efficient. So far, accuracy rates have improved by 20%. Santander has 10 years of saved conversations with data with clients, but the key question is how can they use this data in line with GDPR. How to be responsible with AI and ethical dilemmas? How do you do digital data marketing without being creepy? Catharina Nes at Datatilseynet gave an excellent overview on ethics in AI. To have AI, you need data. China has access to vast amounts of data, yet they do not have the privacy legislation in Europe. They have much wider opportunities to exploit this data and build AI systems. There is a recent article: “Big data meets Big Brother as China moves to rate its citizens”. In Europe, the response is GDPR, a framework for trust. French president Emmanuel Macron has said that badly implemented AI could “jeopardize democracy”. The EU has recently published draft “Ethics Guidelines for Trustworthy AI”. Norwegian banks have a high level of trust. In a recent survey by Datatilsynet 77% of Norwegians trust their banks, but this drops to 31% in European banks, 25% of US tech companies like Apple or Facebook and 9% in Chinese tech such as Alipay. As such, trust is a major competitive advantage and going forward, it is important for banks to consider when they build new business model and keeping the trust. Bringing innovation into companies and cultural change is central to a successful digital transformation strategy. We heard a variety of initiatives that are helping with this change. External partnerships are a major theme. Worldline has a University collaboration program on data having invested EUR 100 million for innovation. One of the objectives is to tap talent and bring this knowledge in house for development. Epicenter in Oslo is a digital innovation house for corporates and scaleups. They aim to share competence, matchmaking between companies big and small, and go to market strategies. Rema 1000 and Bertel O. Steen are two corporates with teams located there to leverage these opportunities and create an environment for innovation. Amazon has created the “two-pizza rule for micro-teams”, where every internal team should be small enough that it can be fed with two pizzas. These small teams are based on agile: discuss, develop and deploy. Developers, designers, auditors, data scientists, data engineers and business people work together. They are moving away from yearly cycles to a week-end. At DNB, an isolated innovation team is not the answer. Creating engagement with objectives and shared agendas is hard work in a matrix organisation. DNB is putting resources as close to business problems with the central organisation as the conductor for the shared agenda and communication to make the invisible, visible in its digital transformation. In addition to attracting new talent, upskilling their people who understand the business is the challenge. For example, at Bertel O Steen – they would like to invest in their mechanics to learn about big data. Chris Skinner spoke of how JP Morgan traders are learning Python and China Merchants Bank have a staff program to learn to code 2 hours a week over an 8 week period. Focus on partnerships, talent and upskilling as part of digital strategy is core to its success. Do follow us on Facebook, LinkedIn and Twitter to hear of upcoming events.